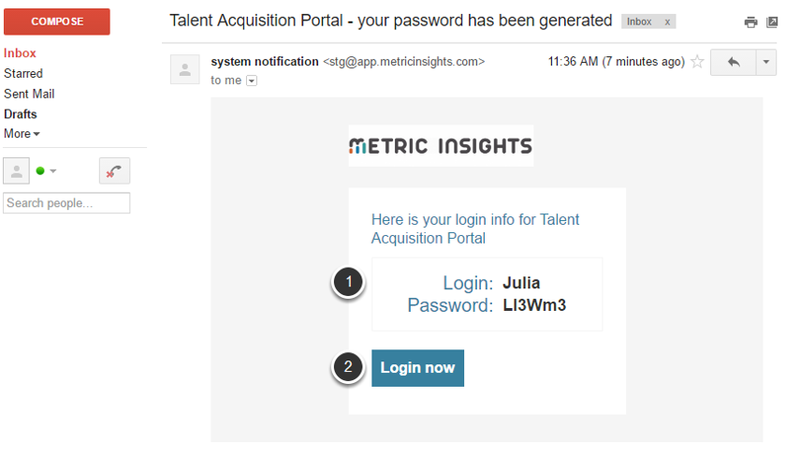 A System-generated e-mail containing your Username, Password, and a link to the Metric Insights Login page. Once an account for you has been generated in Metric Insights, you are going to receive an email with Username and temporary password. NOTE: You are most likely going to be asked to change your password after the first login. Enter your ‘New Password’ and the same value in the ‘Repeat New Password’ field. If your Metric Insights instance is configured to connect to your corporate single-sign-on system, you can use your existing LDAP or Active Directory credentials to access Metric Insights. When Metric Insights is configured for single-sign on, it does not hold your password in its database. 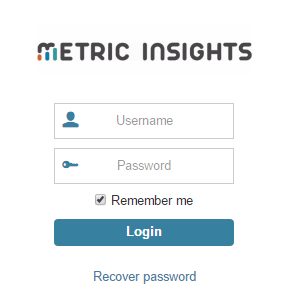 You are, therefore, not permitted to change or recover your Password using Metric Insights. You must follow the procedure established by your organization in order to change or recover your password. NOTE: If you are logging in for the first time, your Homepage will reflect the content that is available to the Metric Insights user group that is mapped to your Single-Sign-On group. Contact your administrator if you need to require access to additional elements.